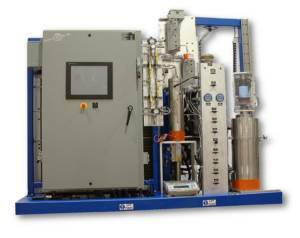 Accudyne has been manufacturing Supercritical CO2 (SCCO2) Processing equipment since 1996 for extraction, separation, drying, cleaning, and purification processes. These machines have ranged in capacity from small benchtop units to production units with several hundred liter capacities. Accudyne’s experience uniquely positions us to help you with all of your SCCO2 chemical extraction applications. 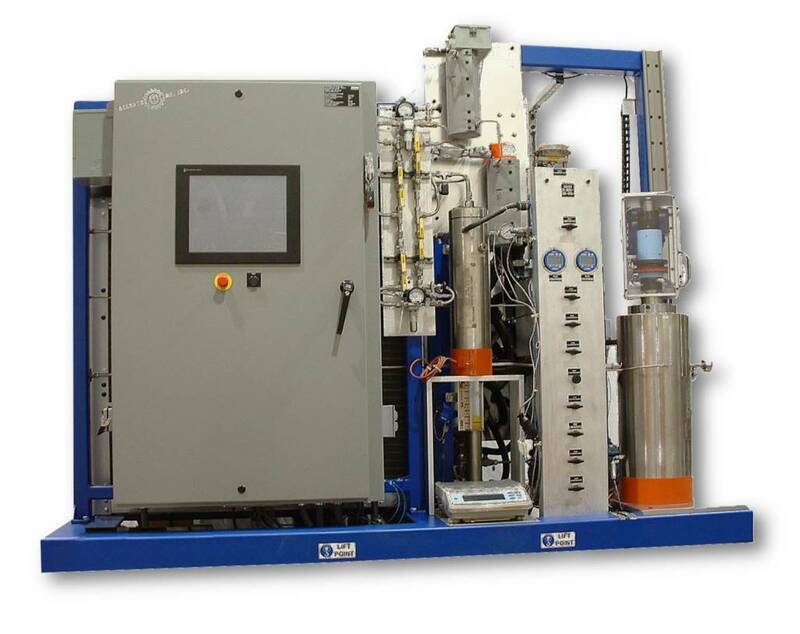 We specialize in systems with multiple extractors and collection vessels. 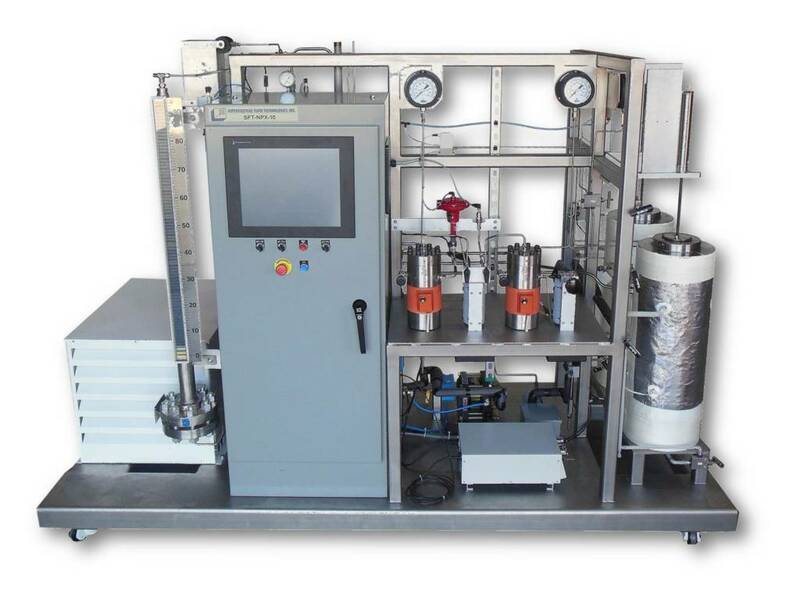 With our systems, you can precisely control the pressure, temperature, and flow rates of the extraction process. Precise pressure control enables you to collect different fractionations from your base stock materials. Extraction of high value CBD, THC, terpenes, and other herbal extracts can be accomplished with our equipment – process controls and instrumentation can be tailored to your specific application. Light essential oils and heavier lipid products are routinely collected with our equipment. Critical Point Drying (CPD) processes are often used for the manufacture of Aerogels which are commonly used in aerospace insulation and particle collection applications. The equipment design can be adjusted to meet your desired batch yield. Rapid Expansion of Supercritical Solution (RESS) processes are commonly used in pharmaceutical processes for the collection of nano-particle precipitates and manufacture of drugs in crystalline form. Our SCCO2 equipment offers several standard extractor and collection vessel configurations. We can tailor any of our offerings to meet your process requirements. Our systems can allow for cascading extraction vessels to achieve the maximum extraction with the shortest cycle time. With multiple vessels, one vessel can be taken offline to remove extracted material and refilled while extraction continues in the other extractor vessels. Other options include baskets for handling feedstock, cranes for loading and unloading baskets, and automatic drains for removing extract. If you have specific Supercritical CO2 application requirements, please fill out this Google form and we will contact you to discuss equipment applications to suite your needs.